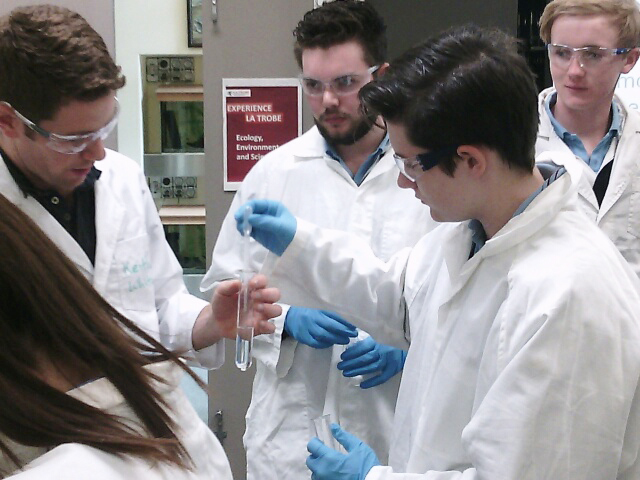 Galen’s VCE Unit 3 Chemistry classes travelled to La Trobe University Wodonga to prepare and test samples of Asprin. This was part of their School Assessed Coursework in ‘Organic Reaction Pathways’. The students prepared a sample, tested its melting point, purified the sample and tested the purity of the purified sample. The students were surprised to find that their purified sample was more pure than a commercial sample of Asprin that they also tested. Students enjoyed being able to work in a university laboratory under the direction of a university lecturer and two PhD students.